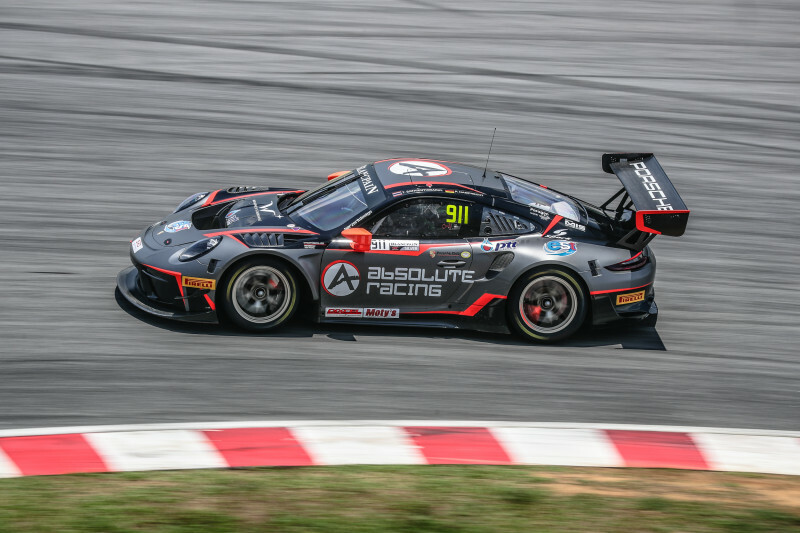 Tanart Sathienthirakul, driving the #911 Absolute Racing Porsche 911 GT3 R he shared with Philip Hamprecht, took the chequered flag to win Round Two of the 2019 Blancpain GT World Challenge Asia at Sepang International Circuit. The Thai driver crossed the line .833 seconds ahead of Vutthikorn Inthraphuvasak in the #918 Panther / AAS Motorsport Porsche he shared with Alexandre Imperatori. Taking the final podium position was Darryl O’Young in the #99 Craft-Bamboo Racing Mercedes-AMG GT3, meaning that 2016/17 IMSA WeatherTech SportsCar Championship GTD champion and teammate Christina Nielsen earned her first podium in the premier Asian GT racing series. The GT4 category was won by the #81 BMW Team Studie BMW M4 GT4 driven by Takayuki Kinoshita and, taking the chequered flag for the team’s second victory of the weekend, Sunako Jukuchou. Second in the GT4 class was the #77 Craft-Bamboo Racing Mercedes-AMG GT4 piloted by Jean-Marc Merlin and Frank Yu. Denis Olsen, pole-sitter in the #912 Absolute Racing Porsche 911 GT3 R had a slow start and was passed by Alexandra Imperatori in the #918 Panther / AAS Motorsport Porsche for the lead in the opening seconds, Olsen dropping back to third. Imperatori then began to pull out a small gap and by the eighth lap was over 1.5 seconds ahead of Mathias Beche in the #16 Modena Motorsports Porsche. 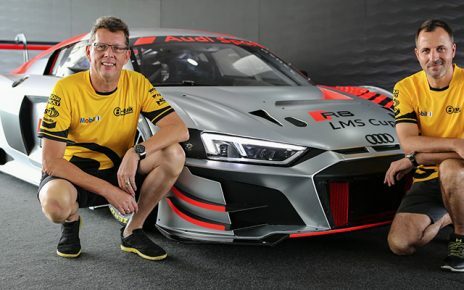 The safety car was required after a little over 15 minutes of racing when the #999 Audi Sport Asia Team TSRT, driven by André Couto in the car he shared with David Chen, caught fire at the final turn after sustaining body work damage. Racing resumed immediately prior to the opening of the pit stop and driver change window. As the pit-window opened, the top four stayed out with Imperatori being the first to stop. There was bad luck for Jazeman Jaafar in the #888 Triple Eight Race Engineering Australia Mercedes-AMG GT3 he shared with Prince Jefri Ibrhim after the Malaysian driver spun on his in-lap, bringing the car into the pit-lane having lost some eight positions as he recovered. After the driver-changes had cycled through, with none of the drama that accompanied the half-way point in Race One, it was the #918 Panther / AAS Motorsport Porsche, now with Inthraphuvasek at the wheel, who held the lead with Sathienthirakul in the #911 Porsche a little over 1.5 seconds behind. Darryl O’Young, driving the #99 Craft-Bamboo Racing Mercedes, was pushing Sun Jingzu in the #13 Absolute Racing Audi R8 LMS GT3 Evo for third and finally passed the Chinese driver with 15 minutes remaining. Sathienthirakul, meanwhile, had found the pace of the #911 Porsche and had closed to within less than half a second of Inthaphuvasek and finally saw his opportunity to pass coming out of the final turn in the closing minutes, giving the new-generation Porsche 911 GT3 R its first victory in Asian competition, the car having won at Bathurst earlier in the year. Tanart Sathienthirakul was delighted at victory. 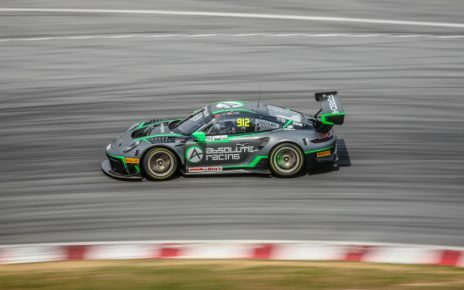 Teammate Philip Hamprecht struggled for pace in his opening stint but was pleased to have given the Stuttgart manufacturer its first win on Asian soil in the new-generation Porsche 911 GT3 R.
The win in the GT3 Am class went to the #26 B-Quik racing Audi R8 LMS driven by Henk Kiks and Daniel Bilski. 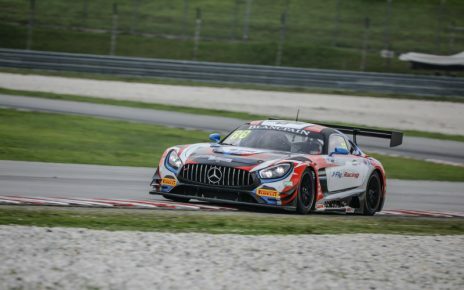 The Blancpain GT World Challenge Asia grid next assembles at Chang International Circuit on May 11 – 12 for Rounds Three and Four.